AS A CITY OF FINE CULTURE AND RICH TRADITION, THERE IS MUCH MORE TO YOGYAKARTA THAN MEETS THE EYE. STEEPED IN HISTORY AND A TREASURE TROVE OF THE REMNANTS OF ITS COLONIAL PAST, YOGYAKARTA IS A VERY POPULAR PLACE TO VISIT. THERE IS ALWAYS PLENTY TO DO, MANY INTERESTING THINGS TO SEE, THIS IS A PLACE THAT GETS UNDER YOUR SKIN AND SEEPS INTO YOUR SOUL. FOR MANY OF THE PEOPLE THAT COME HERE YOGYAKARTA IS NOT MERELY A CITY, IT IS A HOME FOR THE HEART. 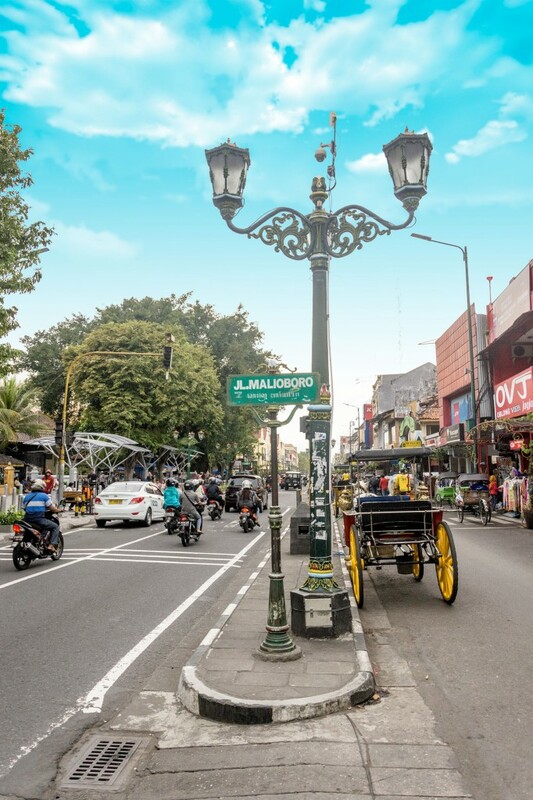 Lying on the north-south axis between Keraton and Mount Merapi, Jalan Malioboro is Yogyakarta’s major shopping hub. Places to see in this area are Abubakar Ali Park and the Beringharjo market where you can find all kinds of merchandise, everything from basic household items (vegetables, fruit and meats) to a myriad of the arts and crafts that Yogyakarta is famous for. 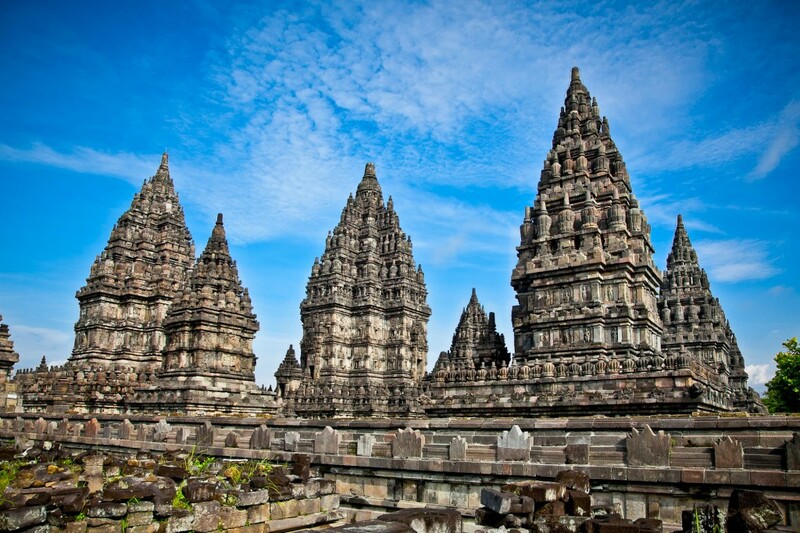 Every night a famous show is held at the 9th century World Heritage site of the Candi Prambanan temple complex. The show is called ‘Sendratari Ramayana’ and is a dance performance depicting the romance of the ‘Ramayana’ Hindu epic which tells the tale of Rama’s adventure to save his lover Shinta from the grasp of the giant Rahwana. This dynamic two-hour live show involves hundreds of dancers and musicians performing on a magnificent stage and supported by hi-tech lighting and audio equipment, a sensational presentation that should not be missed if you are visiting Yogyakarta. 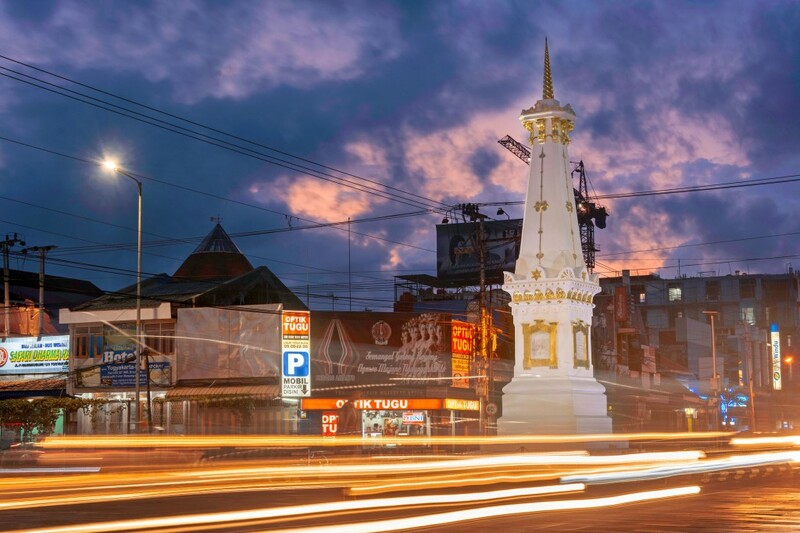 Situated in the center of the main intersection of Mangkubumi, Soedirman, A.M. Sangaji and Diponegoro streets, the Tugu Jogja is considered the most famous landmark in the city. The monument, nearly three centuries old, has deep philosophical significance for the people of Yogya representing the unity of God’s creatures and the spirit of togetherness between lay people and the king to fight colonial rule. Large numbers of local and international tourists come to take photographs including the mandatory selfie in front of the monument. 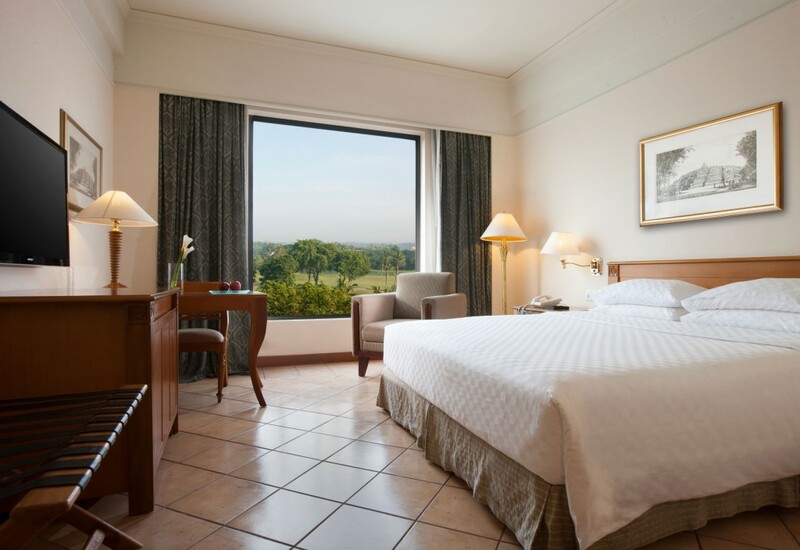 If you are not sure where to stay in Yogyakarta and you are looking for 5 star luxury with an extensive array of facilities we would recommend the Hyatt Regency Yogyakarta. 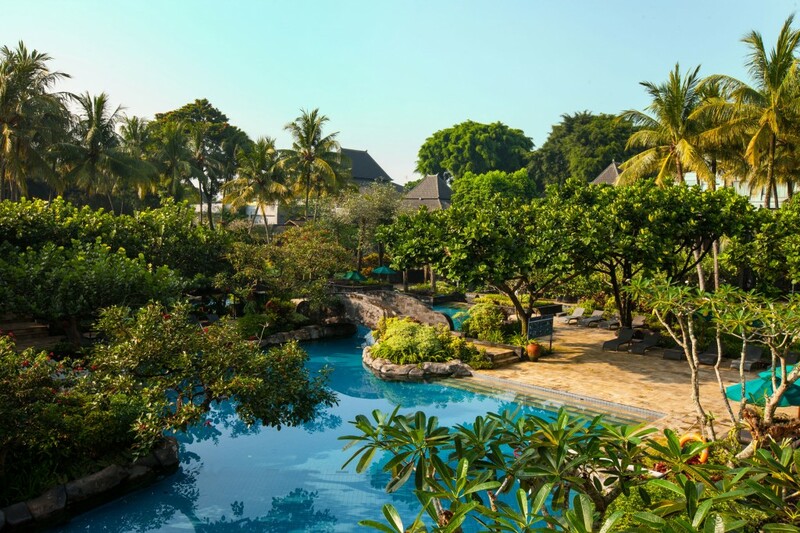 Strategically located in the scenic outskirts of north-western Yogyakarta, the 5-star resort offers stunning views of Mount Merapi and out across Java’s beautiful landscape. The hotel offers a full range of amenities including a multi level swimming pool, restaurants, golf course, tennis courts, spa, and fitness centre. The hotel and its deluxe suites and rooms are all designed in Javanese architecture and decoration.